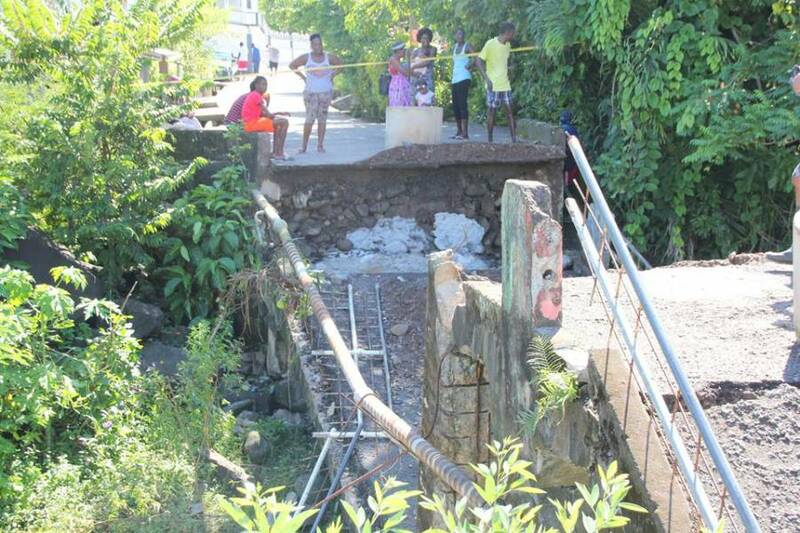 A bridge on which government stop all vehicular traffic in July, collapsed late Monday evening in a dramatic fashion. Hubble Bridge which has served as a connecting point for many communities and schools in the parish of St John, was one designated to be rebuilt under a World Bank project, and it is presently in the tendering stage. “All I heard was a rumbling sound, and then the crashing and explosion, and just like that we no longer have the bridge,” said one caller to a radio programme on Tuesday morning. “Thank God no one was on it, especially the school children,” she added. “It was quite unfortunate for this to happen, but I must say that the process of contracting a firm to build this bridge is going through the tendering process,” said Mr John St Louis, Chief Technical Officer in the Ministry of Works. 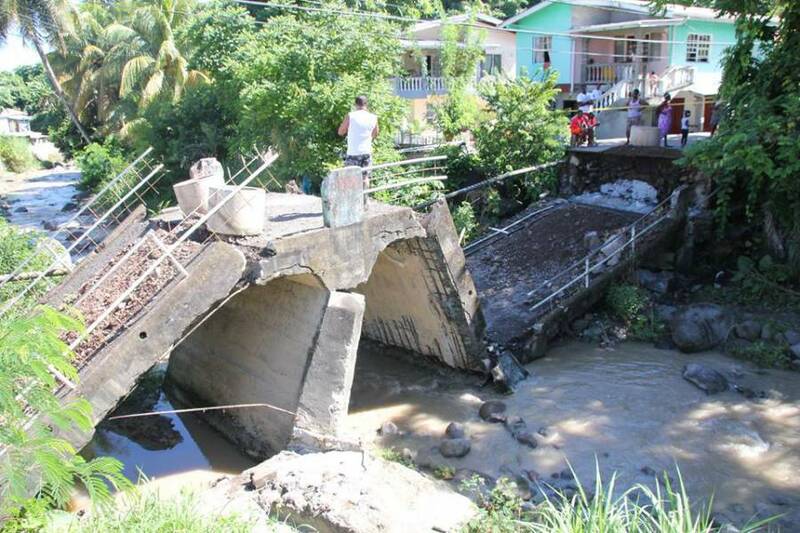 No one was injured when the bridge collapsed, and the most notable immediate damage was the breaking of a water main, which was quickly attended to by the National Water and Sewage Authority. In July 2015, government restricted the bridge to only pedestrian traffic, after it had been reopened to light vehicular traffic in mid-2013. Before that, it was closed off to vehicular traffic during the the National Democratic Congress government administration. Officials in the Ministry were unable to determine the age of the bridge, which has undergone minor repairs over the years. Grenada is currently benefiting from grant and concessionary loan financing in the amount of US$35 million from the Climate Investment Fund (CIF) Pilot Program for Climate Resilience (PPCR), through the Regional Disaster Vulnerability Resilience Project (RDVRP) and the Additional Financing for the RDVRP which was recently approved by the PPCR in 2015. US$13 million of this amount is in PPCR grants. Projects included under this funding include: The L’Anse and Hubble Bridges; Sendall Tunnel Rock Fall; and St John’s River.